Can I Rush My Workers’ Compensation Payments If I Need The Money Now? | Pothitakis Law Firm, P.C. 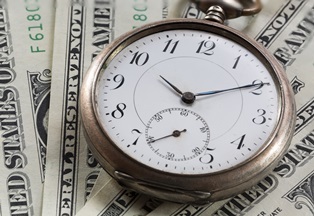 Can I Rush My Workers’ Compensation Payments If I Need The Money Now? The workers’ compensation system exists in part to help employees avoid unnecessary hardship after a work injury or illness. When an injury forces an employee to miss work, he can lose out on wages that are vital to the security and stability of himself and his family. This lost income only adds financial stress to an already painful and difficult situation. The workers’ compensation system aims to help employees avoid that by offering wage replacement and medical care benefits. The timing of these payments can lag, however, and many injured workers and their families worry about when they will be able to obtain benefits. In Iowa, an injured worker can file for and obtain workers’ compensation benefits within certain time frames. Medical benefits are available for any work-related injury regardless of the amount of time away from the job, if any at all. Wage replacement benefits are offered once an employee has missed three days of work, and payment is typically sent by the 11thday of disability if all the proper paperwork has been filed and approved. More complicated cases or those lacking the appropriate documentation may take longer. File an injury report with your employer as soon as possible. Respond to all requests for information promptly. Retain all documents related to your accident, injury, and medical care and provide them when necessary. Following those steps will help ensure your claim will not be held up or denied unnecessarily. Compassionate allowances. If you suffer a condition on the list of compassionate allowances, the SSA will most likely approve your case. You must be diagnosed with the condition and meet the listings for impairment for the condition. Dire need. If a claimant does not have sufficient means to get food, shelter, and medication, the SSA may choose to expedite a claim. To be considered in dire need, a claimant must let the SSA know that they cannot afford to buy food or medicine, are facing eviction or foreclosure, or have had their utilities shut off due to the inability to pay. Claimants should be prepared to show paperwork supporting the claims. Military personnel. Past and present members of the military can get their claims expedited as long as the condition began during active duty and the onset date was on or after October 1, 2001. Safety. If a claimant is a threat to the public or themselves, the SSA can expedite a claim. Terminal illness. If a claimant has an illness that is expected to result in death, the SSA will flag the claim to be expedited. Conditions such as ALS and AIDS, or enrollment in end-of-life programs such as hospice, would alert the SSA. A claimant on life support, oxygen, a wait list for a vital organ or bone marrow transplant, or with certain cancers would also qualify. Worker must have worked in jobs covered by Social Security (those that pay Social Security tax). Worker must have worked for a certain number of years in the covered job(s). Worker must have a medical condition that meets the SSA’s definition of disability, which typically means you are experiencing a long-term, total disability. Filing for Iowa workers’ compensation or Social Security disability and having payments expedited can be a complicated process. If you or someone you love has suffered a serious, job-related injury, contact the experienced lawyers at Pothitakis Law Firm to learn more about your rights and legal options. Make sure your family is able to obtain the maximum amount of compensation in the timeliest manner so you can move forward from your injury successfully. Take a moment to fill out the contact form on this page, and you will receive a prompt response from a member of our team who can answer your questions and get you started today. Do I Have to Use Workers’ Compensation After a Job-Related Injury? How Are Weekly Benefits Calculated in Iowa? Previous PostPrevious How Can Social Media Affect My Iowa Workers’ Compensation Claim? Next PostNext My Work Injury Has Worsened—Can I Reopen My Old Workers’ Compensation Claim?